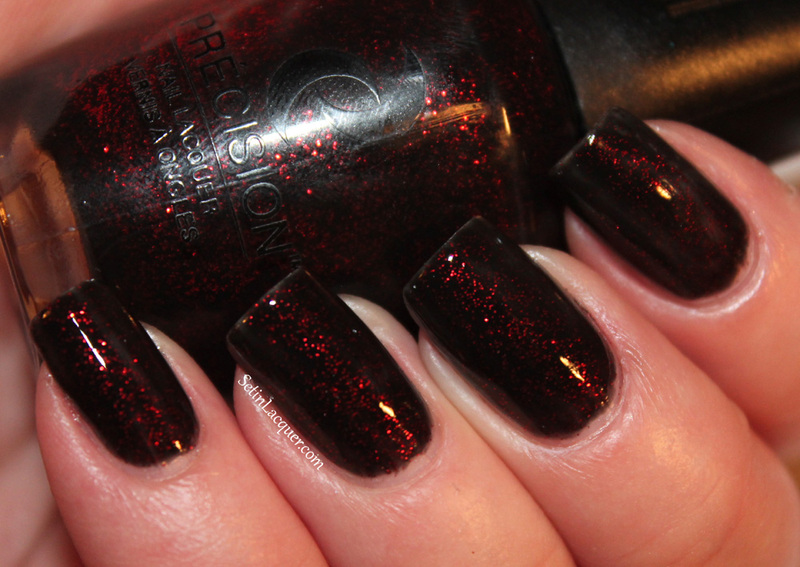 I have a new-to-me polish to share with you today - Precision Nail Lacquer - The Glam Rock Collection. This collection was released last Fall and consists of six colors. As it's a Fall collection the colors are dark and vampy. The formula on these is great - two coats and a high gloss shine. Party like a Rockstar in our 6 amazing vixen colors. The intense rich colors will have you feeling like a VIP all night and even into The After After Party circuit. And if you're feeling like a Rebel Red in You, punk it up with some Glam Metal or U Rock & I Roll. So go on and rock some love on!! Let's take a look. Click on each photo for a larger image. Glam Metal is a shimmery gun metal gray. Great coverage and lots of shine. This is two coats. 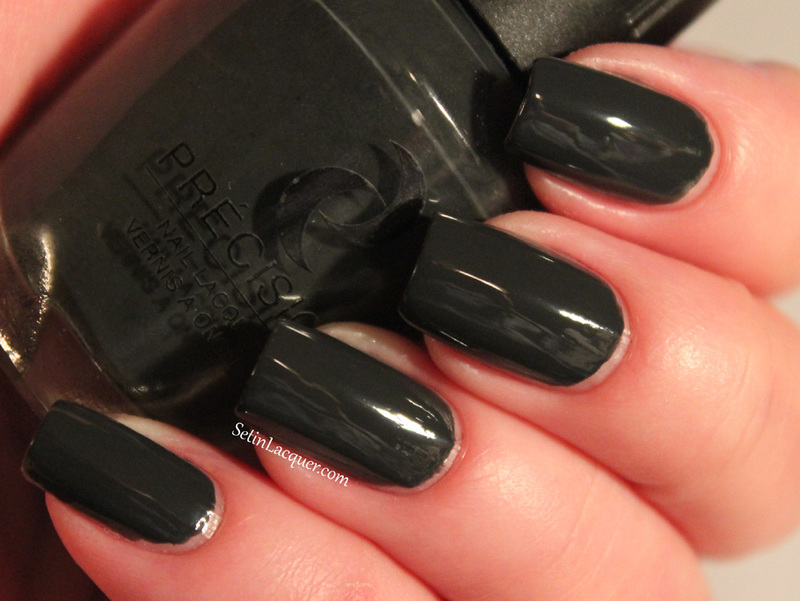 U Rock & I Roll is a slate gray cream polish. The coverage is amazing. In some lighting it appears almost black. This is two coats. 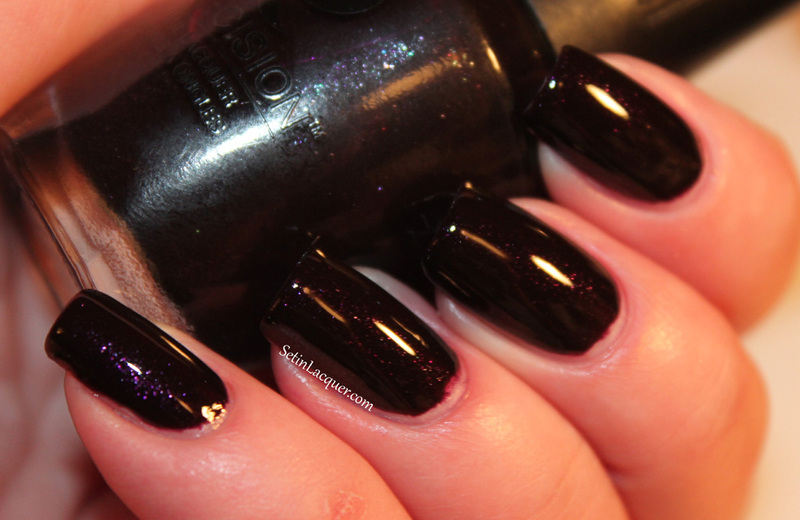 VIP - Very Important Polish is a deep shimmery almost black polish with tons of purple sparkle. It has that "lit from within" look. This is two coats. 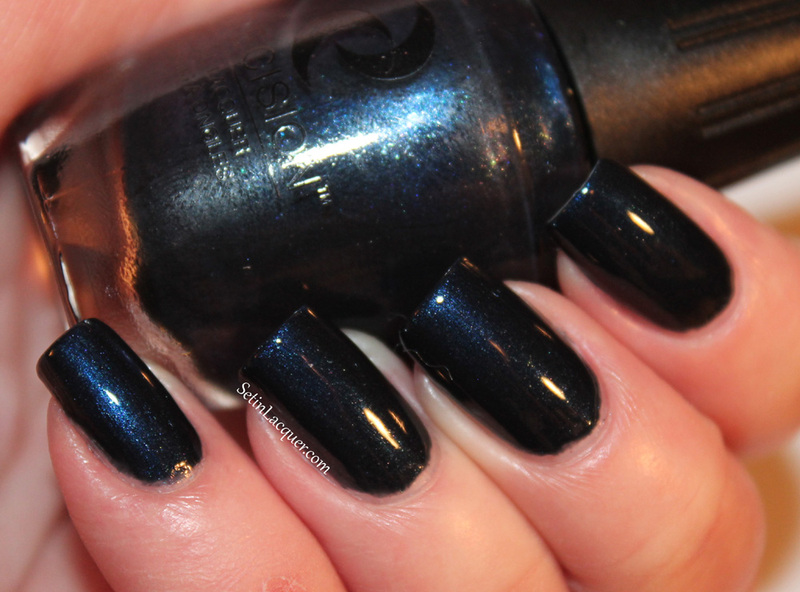 The After After Party is a deep shimmery sapphire blue polish. 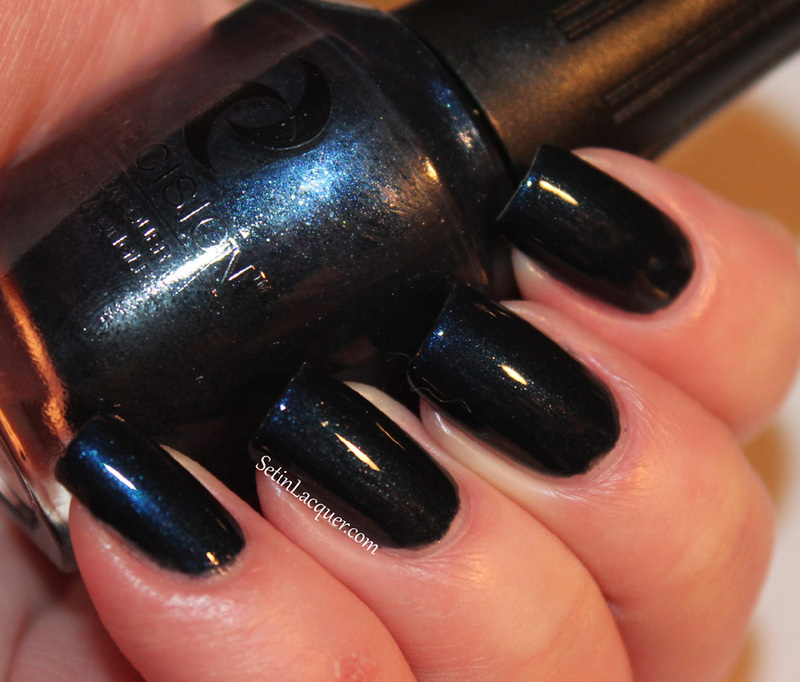 The blue shimmer adds depth and dimension. This is two coats. 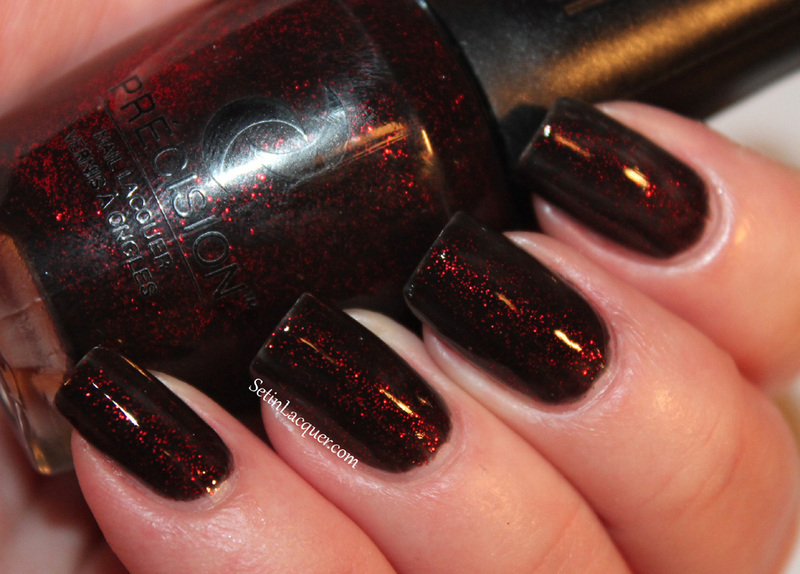 Rebel Red In You is another deep, almost black polish with gorgeous red sparkle and shimmer. It also has the "lit from within" look. This is two coats. Party Like A Rockstar is a gorgeous, shimmery sun-bronzed gold. I love this shade. This is two coats. 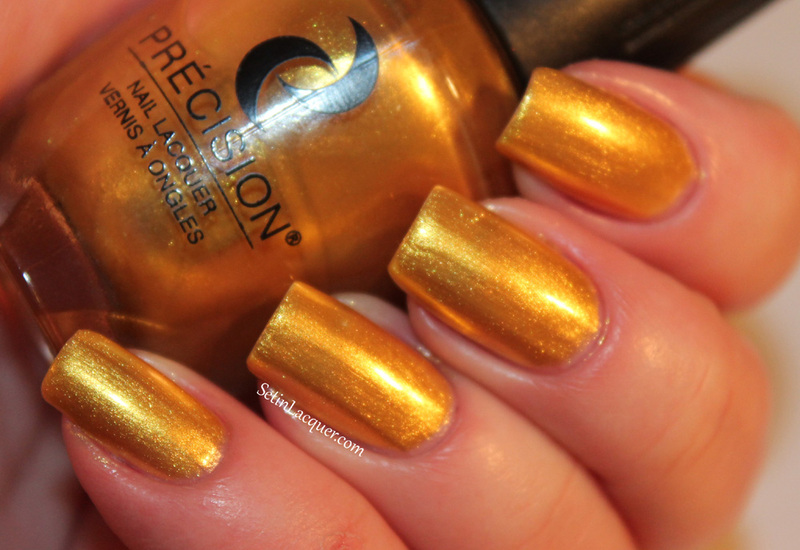 Precision Nail Lacquer can be purchased for $5.95 on their website. 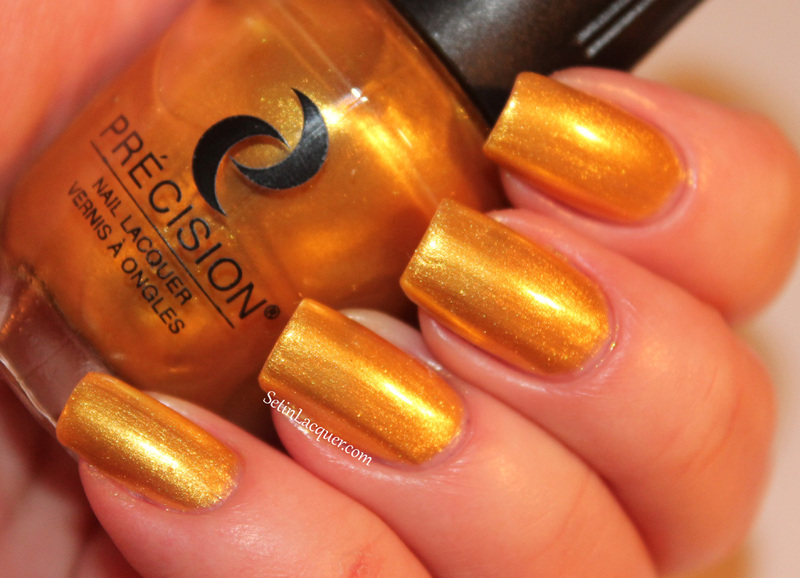 Precision Nail Lacquer is vegan, eco-friendly, cruelty-free and 3-Free: free of tuolene, formaldehyde and dbp.